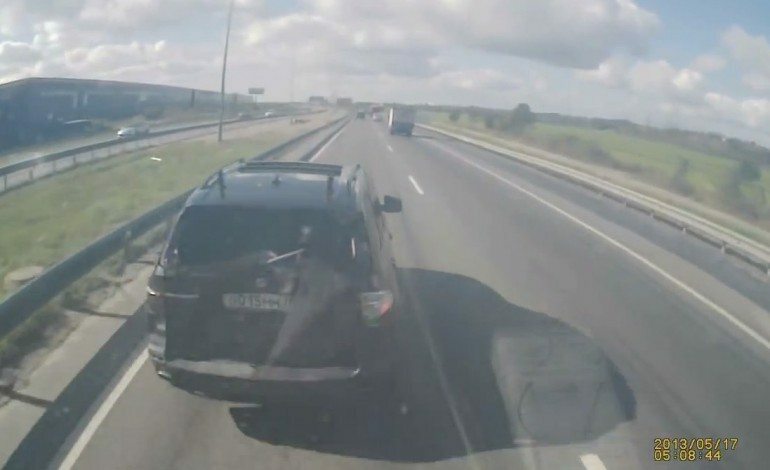 Before you even ask, you know this video is coming from the crazy road rage / road random nation of Russia. 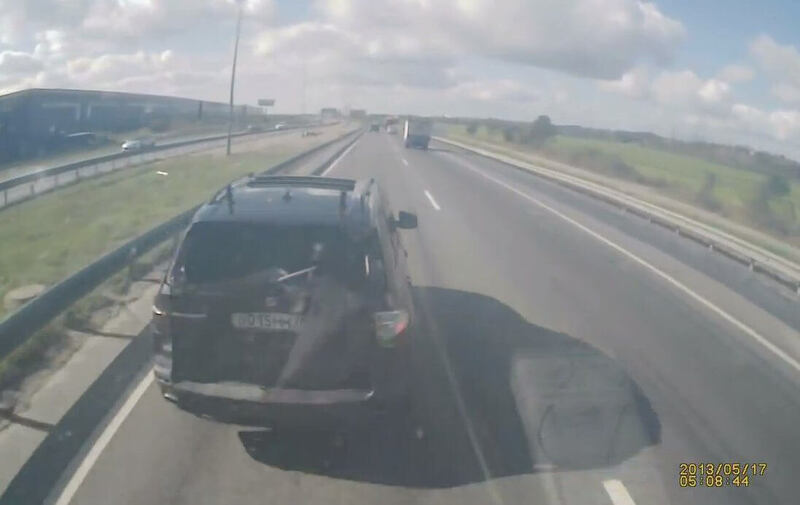 We are not sure what upset this X5 driver, but he seems to be having a very bad day, which he just made a lot worse. Maybe the truck pulled out on front of him, who knows. You would think that most if not all drivers would be smart enough to not brake check a fully loaded truck, but its seems like there are some idiots out there. Just sit back and watch the Russian madness unfold.